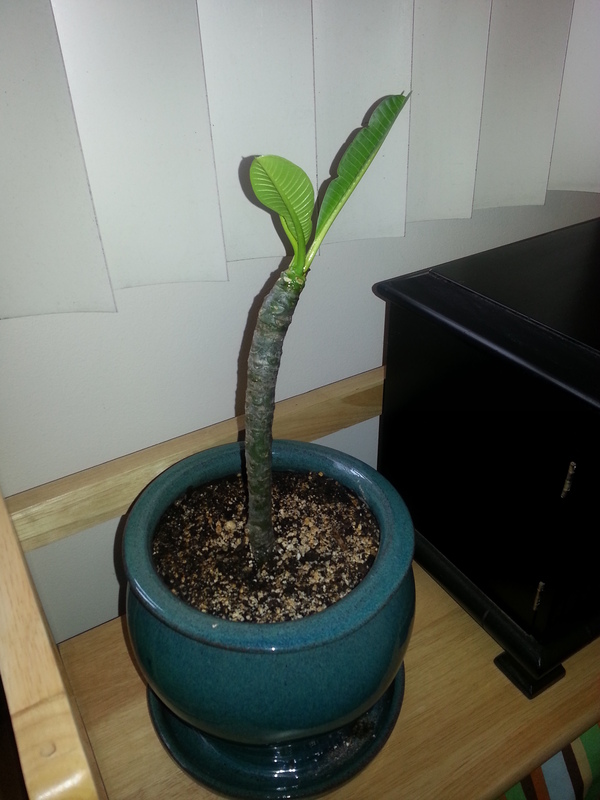 Well, Audrey 2 seems to be thriving. She was actually growing too fast at one point and one of her shoots didn’t get enough nourishment so it fell off. She has a couple tiny ones starting and it looks like she’s going to have another growth spurt soon. Also, her name is not actually Audrey 2. I haven’t named her yet, though that name is a bit fitting at the rate she’s growing. I took this photo this afternoon, 4 days after the last photo was taken. It has really taken off! It’s like Little Shop of Horror in here. 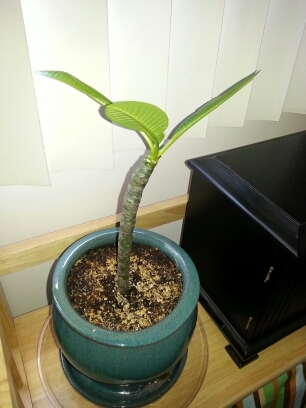 My mom lives on Maui and came to CA for a visit in June and brought me a plumeria plant starter. Plumeria are one of my favorite flowers. As you see, it’s growing quite nicely. 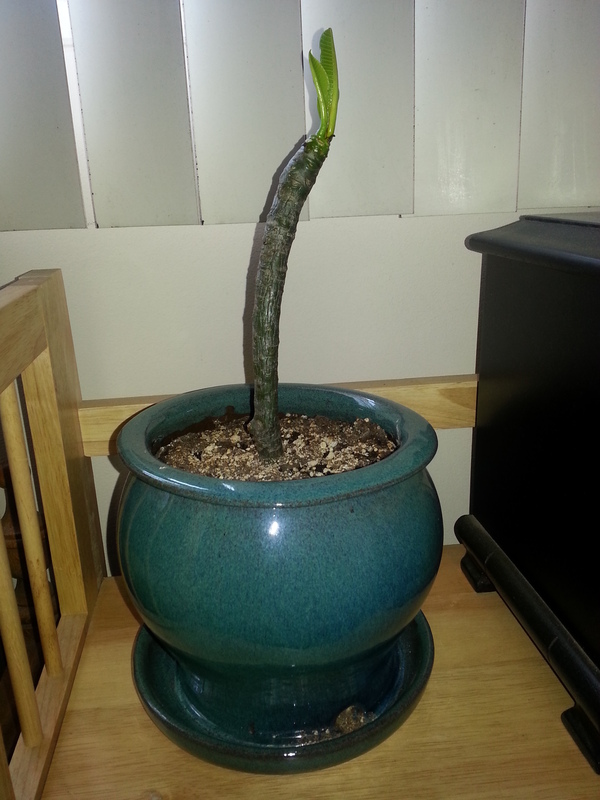 I got the pot from the San Gabriel Nursery. This photo taken Sunday 7/5/2015.